Nonfiction ramblings, updates, and discussions. My huge thanks to Tom, Luis Filgueira, Mike Randazzo, Zach Heyde, and everyone else involved for letting me share this with you all. For me, one of the many wonderful surprises was Zach Heyde’s creepy score. It reminds me in the best way of the “Session 9” score. The original soundtrack is available on Zach’s bandcamp page, name your price. I’m listening to it, right now. New Release Monday – “Shifters” and “Another 100 Horrors” now available. The latest anthology from Hazardous press is now available on Kindle or in Paperback. 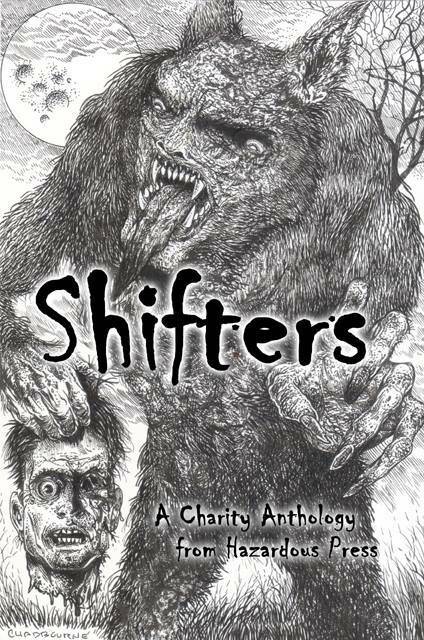 “Shifters: A Charity Anthology” includes a reworked version of my story “Collision”, which among other things, adresses the problem of conservation of mass among skinwalkers in the Arizona desert. Among other things. Shifters includes stories from Chris Larsen, Doug Murano, Rose Blackthorn, Jay Wilburn, and D. Alexander Ward, as well as David Wellington, Aaron Gudmunson, Dane Hatchell, Mandy DeGeit, Kris Freestone, Adam Millard, Brent Nichols, Terry Alexander, Steve Voelker, Max Booth III, Matthew Wilson, Beryl Knight, Lisamarie Lamb, Chantal Boudreau, Dana Wright, Lori Michelle, Rie Sheridan Rose, Dawn Napier, Jen White, Cameron Johnston, E.L. Kemper, Amanda Pillar, Jonah Buck, Emma Whitehall, Christine Morgan, Susannah Carlson, Robin Deffendall, Tracie McBride, and Erzabet Bishop. Cover art by Glenn Chadbourne, back cover art by Diana Whiley, interior illustrations by Kris Freestone and Leia Napier. All proceeds from the sales of this anthology will go to the American Humane Association’s Red Star Rescue Team, providing disaster response services for pets and domestic animals. 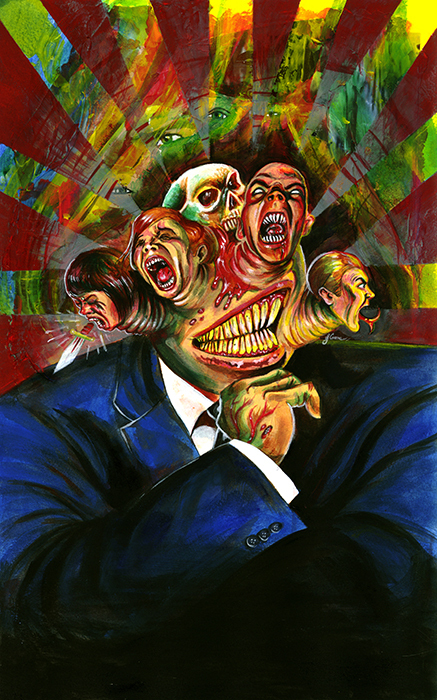 Also newly released, “Another 100 Horrors” from Cruentus Libri Press. 100 stories from 100 writers, all exactly 100 words. My new (short) story “Shipwreck” is a part of this collection, and it’s available for both Kindle and paperback. In future news, I am completing work on a historical horror story about the Siege of Constantinople and have completed a first draft of a very odd “Fields of Ur”. It’s still very very rough, but if you’re interested in seeing a completely unrevised initial draft, and would like to offer feedback, please send me an email and I would be happy to share it with you. This autumn should see at least two more exciting releases: “The Blues” will be featured on the Psuedopod Podcast, and a version of “Before” will appear in Nightfall Magazine’s inaugural issue. As always, if you’re so inclined to share your feedback, positive or negative, all us contributors would greatly appreciate it, either on Amazon or Goodreads. This is just to say that I have eaten the plums that were in the icebox and which you were probably saving for breakfast. Forgive me they were delicious so sweet and so cold. Oh, and also, the latest collection from Hazardous Press, “Horrific History” is out on Kindle and on Paperback. 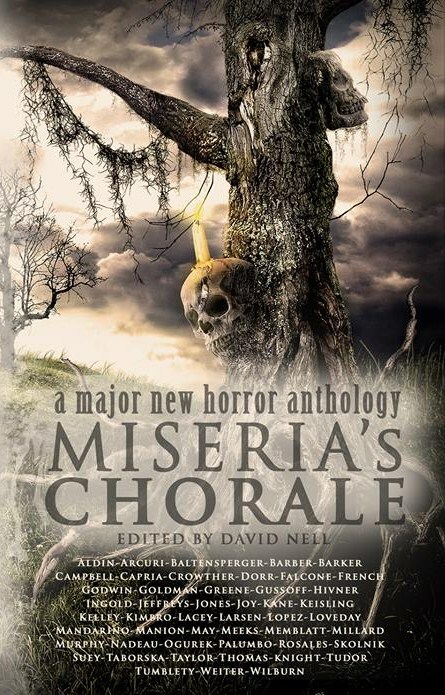 It contains history themed tales of horror by such authors as Chris Larsen, Doug Murano, Rose Blackthorn, and Jay Wilburn. It also includes my dust bowl story, creatively titled “Dust”, as well as stories from Brent Abell, Pete Aldin, Jason Andrew, Monette Bebow-Reinhard, Rebecca L. Brown, Deborah Drake, T. Fox Dunham, Gwendolyn Edward, Aaron J. French, Tara Fox Hall, Ken MacGregor, Lynne MacLean, Adam Millard, Douglas J. Moore, Doug Murano, Christopher S. Nelson, Brent Nichols, Emerian Rich, Stephen D. Rogers, Julianne Snow, Jenny Twist, D. Alexander Ward, David Williamson and Lee Clark Zumpe. Doug is doing a series of Q+A with the various contributors, and I’m sending him some rambling nonsense right now, stop by and take a look. Have a look at the free sample, and if you’re so inclined to share your feedback, positive or negative, all us word-arrangers would greatly appreciate it, either on Amazon or Goodreads.